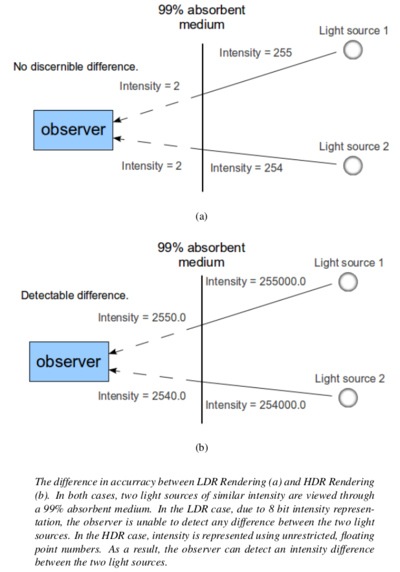 The range of brightness that occurs in the real world far exceeds that attainable on standard display devices. As a result, computer graphics has traditionally restricted virtual illumination to the displayable range. 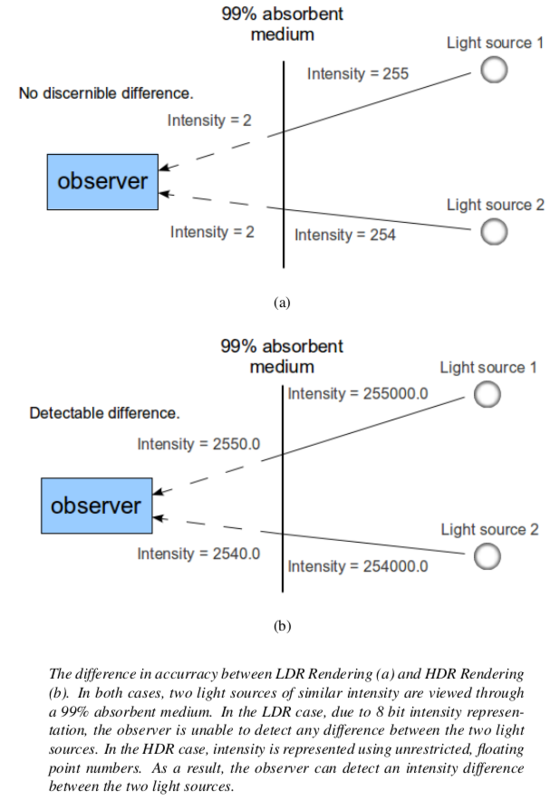 In recent years there has been a shift in paradigm towards illumination using an intensity range commensurate with that of the real world, compressing the results to the displayable range by a post-processing operation known as tone mapping. 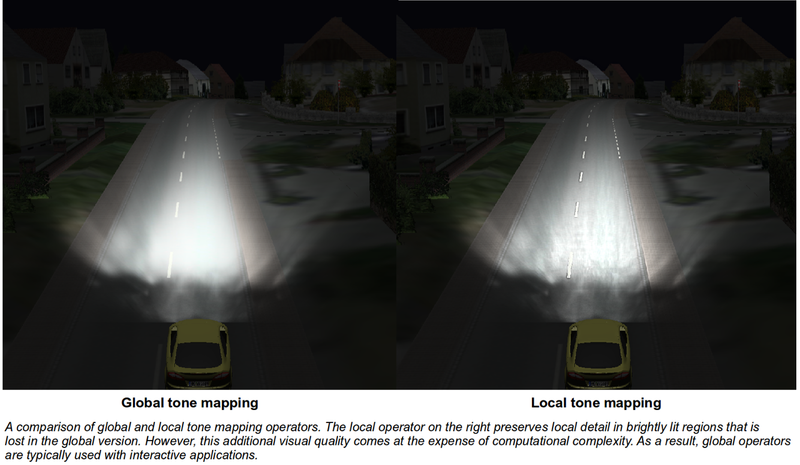 Algorithms for tone mapping, called tone mapping operators, can be classified as global or local. Global operators are efficient to compute at the expense of scene quality. Local operators preserve scene detail, but, due to their additional computational complexity, are rarely used with interactive applications. 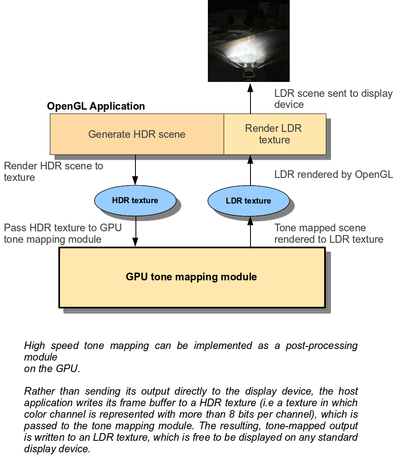 This thesis proposes a local tone mapping operator suitable for use with interactive applications. The long-term goal is to use this operator with a virtual night driving simulator used at the Heinz Nixdorf Institute. 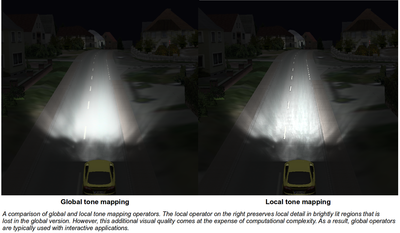 To develop a suitable tone mapping operator, a state of the art local tone mapping method was optimized using work-efficient parallel scan algorithms. 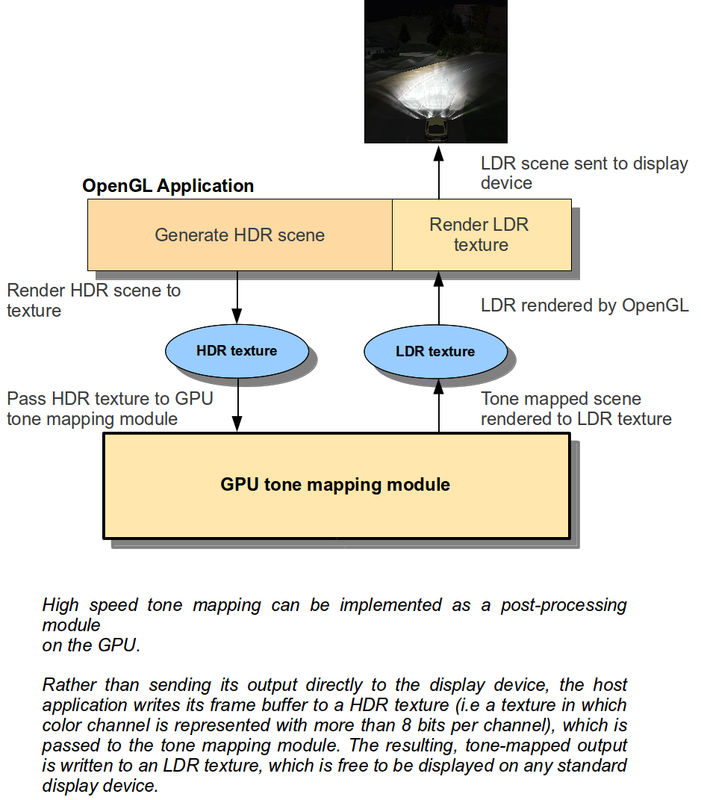 Two GPU implementations of this optimized method were developed: one using CUDA and one using GLSL shaders. CUDA was chosen because it exclusively exposes GPU hardware suitable for optimizing the computations used by the proposed method. 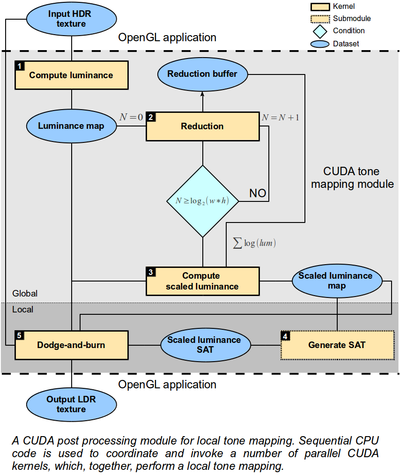 The GLSL implementation was used to determine whether performance gains over the current state of the art can be attributed to the modified algorithm or its implementation in CUDA. 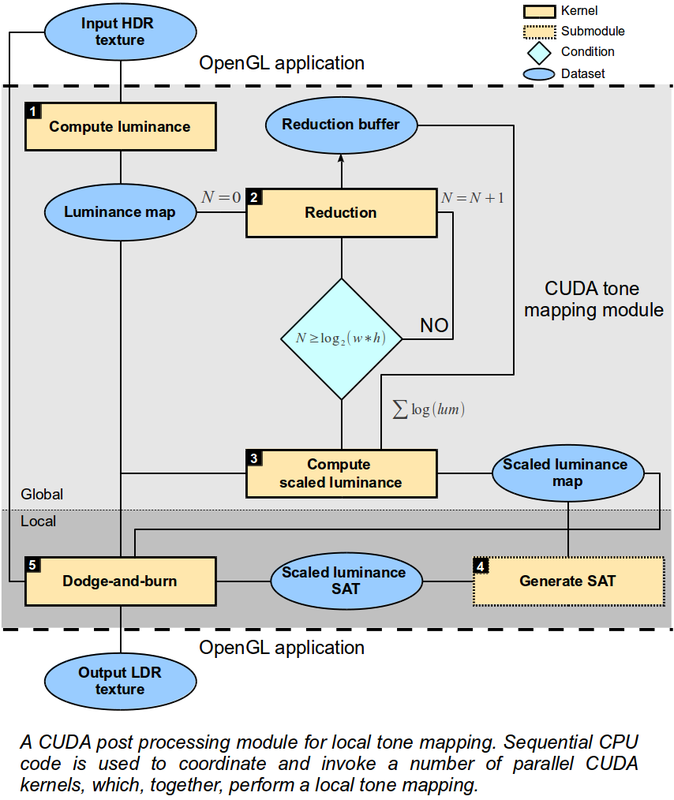 The design, implementation and performance of the CUDA and GLSL tone mapping implementations will be discussed in the presentation.